The debugger outputs GetComponent<SpriteRenderer>().sprite.name for the dirt I walk on is DarkDirt even though it is showing up as "Dirt" in reality. 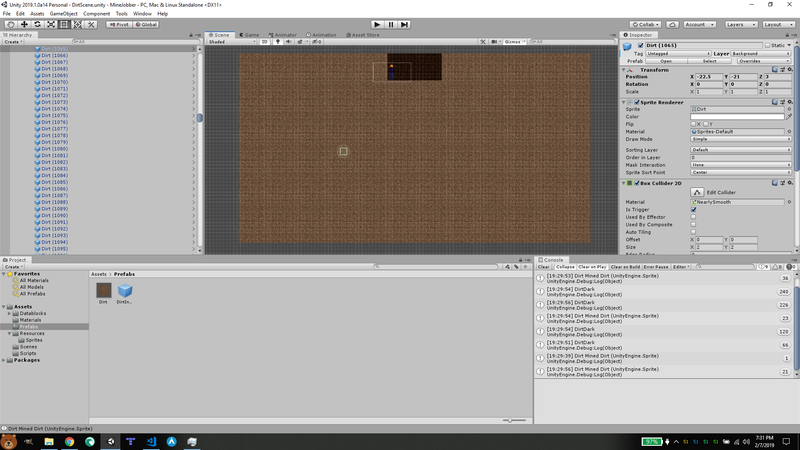 The inspector in the scene view agrees that it should be rendering DarkDirt. How can I get unity to re-draw sprites when they update? Make sure that the tiles are not overlapping, and create a script similar to this. Not the answer you're looking for? Browse other questions tagged unity sprites or ask your own question. 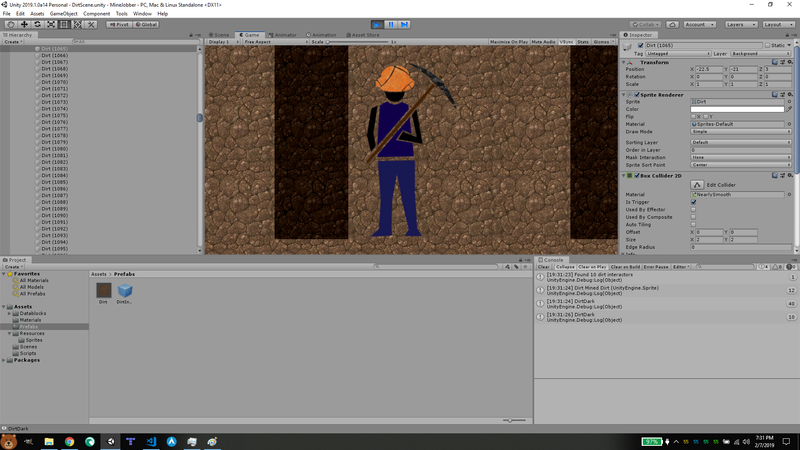 How do I change the sprite of a player in Unity?